Rural Development Foundation has widened its boundaries by entering into a new partnership with Tech Mahindra Foundation to implement “School Based Quality Improvement Program” in a Govt. Mandal Parishad Primary School, Bahadurpally, Hyderabad. Rural Development Foundation, Tech Mahindra Foundation and Rajiv Vidya Mission have signed Memorandum of Understanding to impart quality education. Sr. PET Mr. Lakshmi Narayana is one such mentor – His action depicts – “Boys’ do not follow me, follow my Rhythm”. Rural Development Foundation is a voluntary organization. 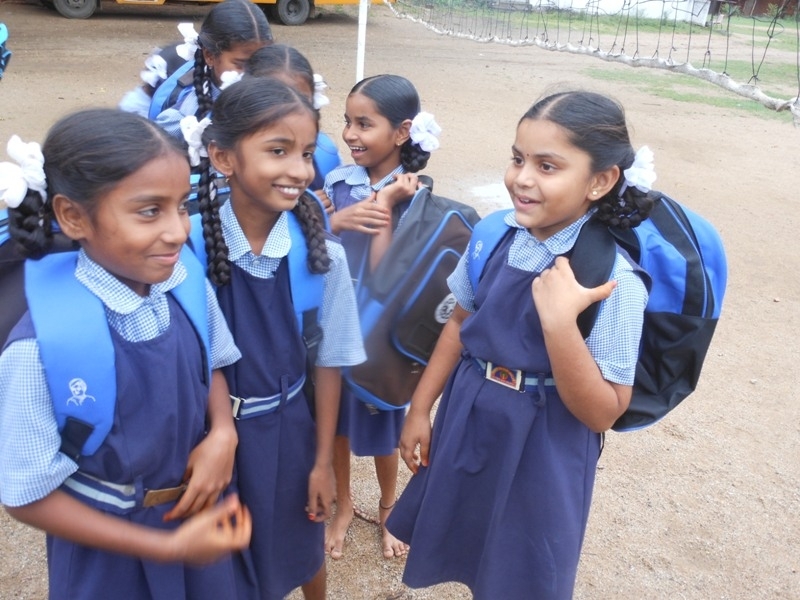 It continues to support and give high quality education to underprivileged children of rural India. 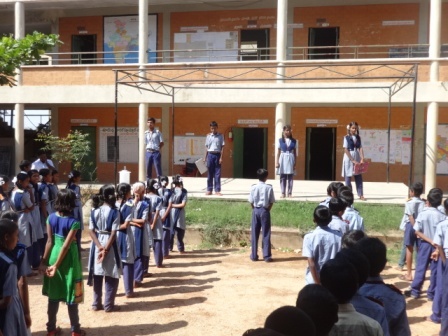 RDF supports four schools and one Junior college in two districts of Telengana. Due to the selfless efforts of RDF, the schools together have more than 1700 students enrolled in them. Youth for Seva has given its helping hand to RDF donating school bags to the RDF kids. Each bag contained note books, pens, water bottle, stickers, dictionary, etc., we encourage students and parents to motivate others and lend their support to help each other to make a better future. Students of Matendla School are given opportunity to lead our School Assembly in the morning. They are empowered to lead the session to showcase their special talents during the morning assemblies. A news reader is selected each day to read out the news ranging from sports news to science news and meditation, chanting hymn. While the students get chance to lead the assembly, teachers act as mentors and guide them at every step. Allowing students to take up leadership roles and garner the sense of independence. By empowering our students to become the leaders of tomorrow, we hope they will utilize the skills learned during the morning assemblies and continue to exhibit them throughout their lives. 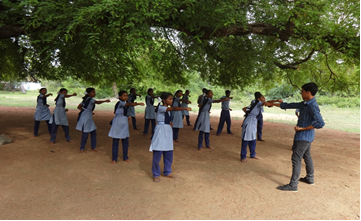 RDF Redlawada high school students practice Karate after school hours. The students practice Karate every evening from 4:45pm to 5:30pm. Introduction of karate in the school has seen many students build up their confidence levels and courage. The Physical Education Teacher Mr. Anil who joined recently is an experienced Karate Master, gives coaching and important tricks and tips to the students to face all kind of problems. It is a known fact that Karate acts as a weapon in self-protection, especially among girls and women. Karate also helps in improving health and strength among students and develops them into a good socially responsible citizen of tomorrow.